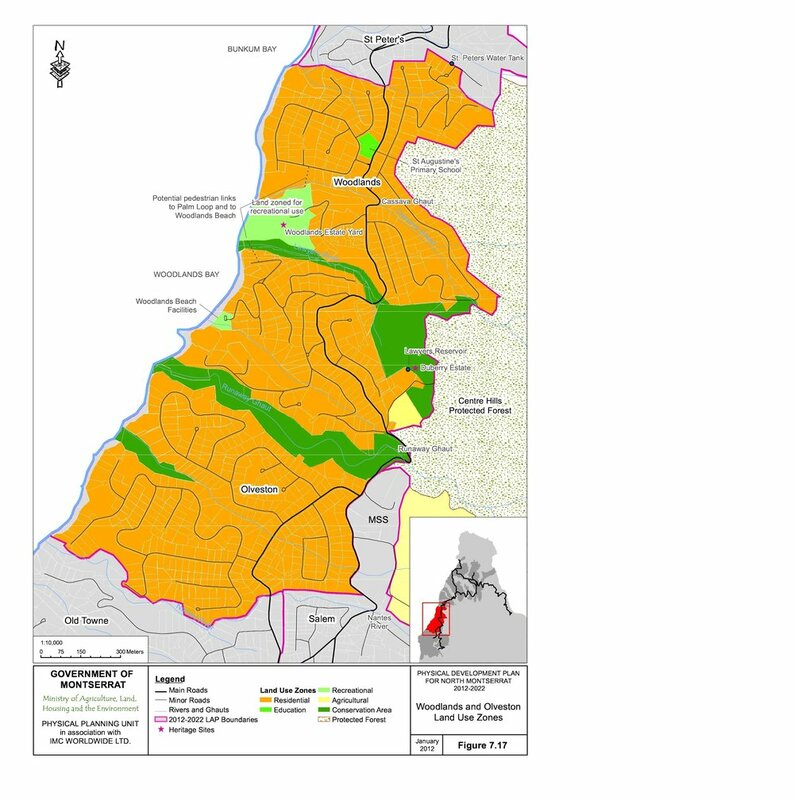 The Physical Planning Unit (PPU) within the Government of Montserrat is seeking public input on a proposal for the modification of the ‘Physical Development Plan for North Montserrat 2012-2022’. The proposed development, which is titled “The Montserrat Ledonda Bay Project”, consists of a high end condominium villa/ resort hotel, including facilities for recreation and cultural events, which will be designed to be a blend of elegant, romantic, free, open and dynamic themes. The proposal is therefore seeking to rezone parts of Woodlands from recreation to tourism development. In light of this request, PPU’s Chief Physical Planner, Clement Jerome Meade says public consultation is required to ensure residents in the area and surrounding areas are adequately notified of the proposed development, and are able to provide their comments and concerns which will be factored into the decision making process. The PPU has therefore scheduled a public consultation period of sixty days which took effect June 1 and will continue until August 1, this year. Individuals with questions and comments on the proposed development are encouraged to contact the PPU. Within that time span, the PPU has also scheduled a Town Hall Meeting for Wednesday, July 18 starting at 6:30p.m. at the Salem Primary School. The Town Hall meeting is specifically targeted at residents of Palm Loop, Woodlands, Olveston and surrounding areas; however, any individual interested in learning more about the proposed development and sharing their views on it, is invited to attend.